It didn’t take long for the New England Patriots to start planning for next season. The team has reportedly already picked their successor to Brian Flores. 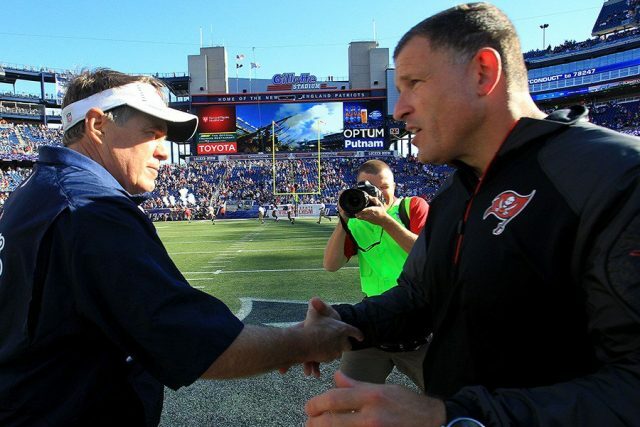 In a tweet from Jim McBride at the Boston Globe, the Patriots have confirmed that they will name Greg Schiano as their next defensive coordinator. Schiano, 52, was the head coach at Rutgers University from 2001 until 2011 before taking the head coaching job for the Tampa Bay Buccaneers. The former Bucknell linebacker took his next job at Ohio State where he was named assistant head coach as well as defensive coordinator. He is now the first official replacement for Matt Patricia at defensive coordinator, as Flores held the title of “defensive signal caller” during this past season with the Patriots.